Saturday, October 17th at 1:00 pm. 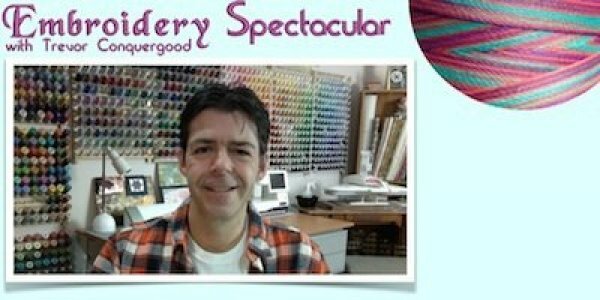 Trevor has just completed his Embroidery Spectacular 01 which consists of 12 classes that were presented over 12 months, with downloads filled with designs and videos. Trevor will be at Creative House to answer any questions you may have on digitizing. and to offer for the first time the Complete Embroidery Spectacular 01 on DVD. Open to all Embroiderers, come early, snacks will be provided!